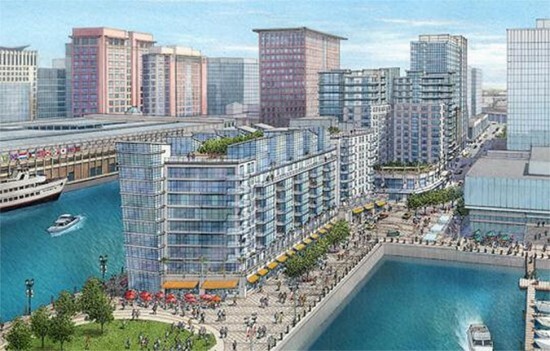 A massive, 1.1-million-square-foot development adjacent to Fenway Park in Boston is finally set to rise, following 15 years of delays, setbacks, and logistical issues. The first phase of Fenway Center will bring two residential buildings with 312 units, 37,000 square feet of ground floor retail and 200 underground parking spots to what is currently a parking lot, at a price tag of $240 million. 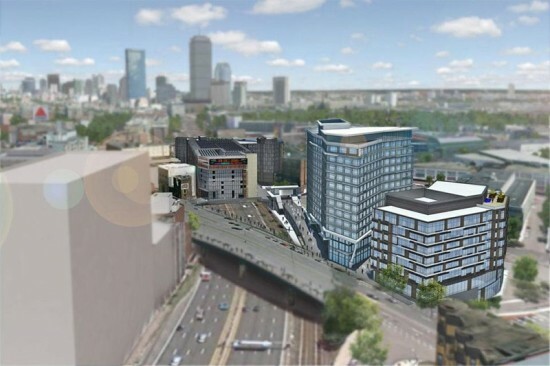 Fenway Center has been plagued by false starts for years (AN last wrote that it might break ground in 2013), but construction on the mixed-use development is now supposed to begin in the next two weeks and wrap up by 2020. One of the most difficult hurdles that the project has had to clear, other than financing, is that phase one would have originally placed the residential towers over the Massachusetts Turnpike, with phase two building on the parking lot. Spanning a deck over the turnpike made the project prohibitively expensive and complicated, and as the site is state-owned, Massachusetts’s officials required developer John Rosenthal to have both the funding and deck plans in place before they would sign a lease. These problems seem to have been resolved by Rosenthal rearranging the project’s timeline, as Rosenthal hopes the new towers will build anticipation, and funding, for decking over the turnpike. “We’re going to create a neighborhood here where today there are parking lots and windswept bridges,” Rosenthal told The Boston Globe. “That will attract the debt and equity for Phase 2.” With the residential towers going up on the nearby lot instead, phase two will now see an office tower and garages being built over the turnpike. With a 99-year lease in place between Rosenthal and the Massachusetts Department of Transportation, construction on the project is poised to begin immediately. The scheme will build off of an earlier master plan by New York-based Carlos Zapata Studio, and Chelsea, Massachusetts-based The Architectural Team (TAT) will be designing the buildings, as well as the site’s elevated pedestrian walkways and new green spaces. TAT has also promised that Fenway Center will feature one of the largest private solar power plants in the state, and the Massachusetts Bay Transit Authority’s first net-zero-energy train station. Repurposing the unused land around sports venues has become increasingly popular, as the ballpark-adjacent Fenway Center will join the likes of Denver's new stadium district and the office complexes bordering Wrigley Field. 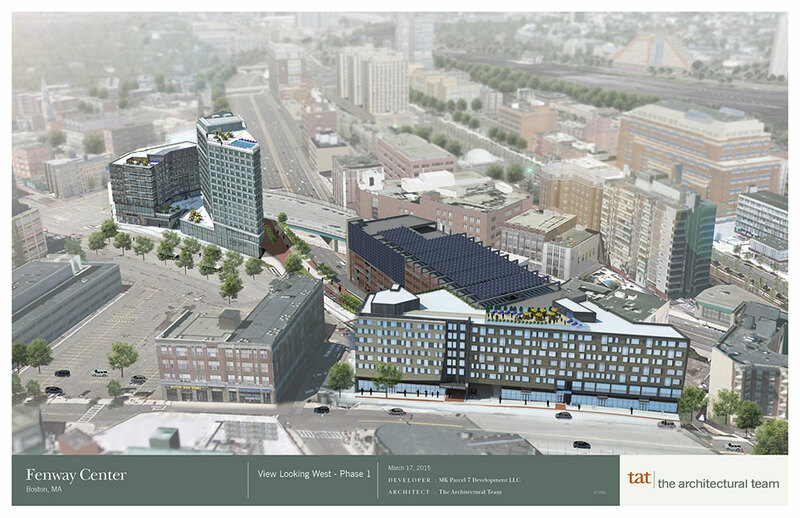 Phase one of Fenway Center is expected to finish construction by 2020, and the developers are required to finalize their lease with the MassDOT for the second phase by the same year.